As soon as I stepped off the train, with luggage in both hands and two Japanese officials at my side, I knew that I was definitely not home in the United States anymore. Thousands of miles away from the familiar and transplanted in a new country, nothing had registered mentally—but physically, however, I was indeed feeling it. July in Japan. I was hit with a tidal wave of humidity that drenched me senseless. The Japanese government in Tokyo decided to send me to this hot, humid sauna called Niigata, Japan. I was sweating profusely, my body was jet lagged, and there was a ringing in my ears that I would later know as “cicadas.” My eyes were heavy, my legs like water and my heart still in Salt Lake City. There was nothing, and yet, there was everything. 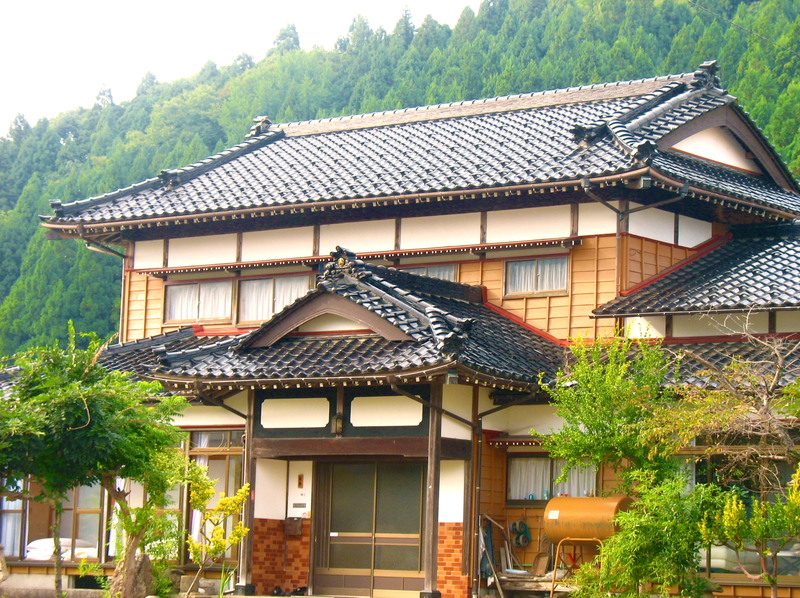 A few Japanese styled houses with tiled roofs and shoji doors interspersed in a stretch of rice fields that stretched on for miles. Mountains so green—a rich, deep green that rivaled even the most lush of forests in America—surrounded me on all sides. There were no tall buildings. There were no people in sight. A lone car drove by, disrupting the orchestra of cicadas in the background. 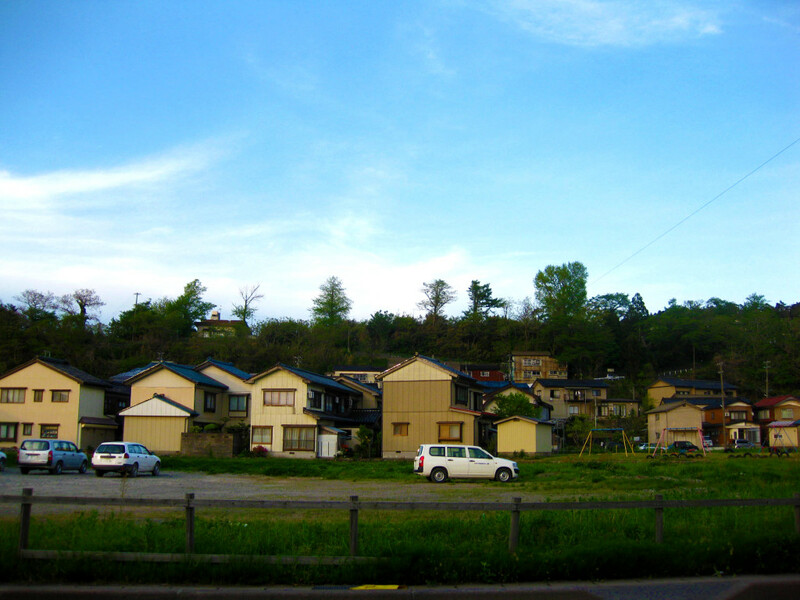 A car was there ready to pick me up, but it only drove two minutes until we reached my new home, an apartment complex called “Ginnansou.” My new apartment was hidden in a small nook of the village, adjacent to the mountains and alongside a river. The officials offered to take my things into the apartment, but I told them I was fine. I lugged my belongings upstairs, turned the key to my apartment, and walked into what would become my home for the next two years. 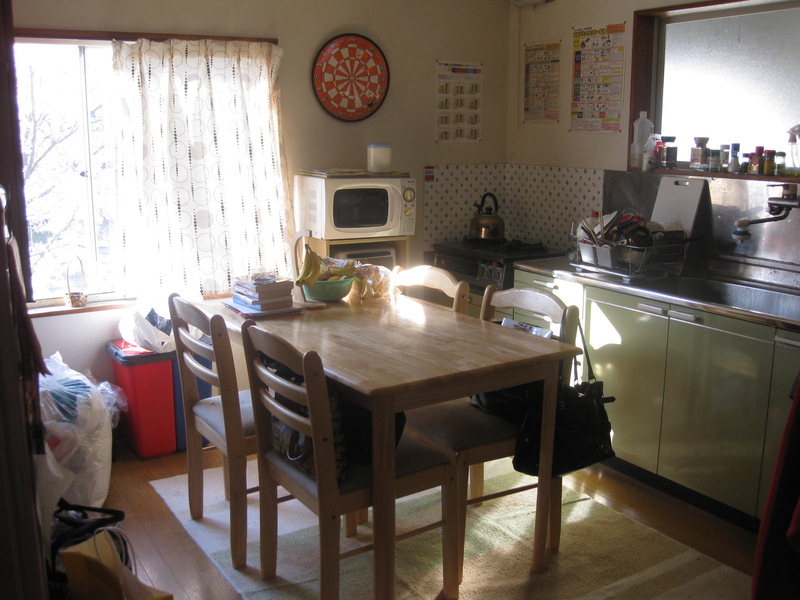 An open kitchen with a table large enough to seat a family; a nearby window with a (what I would later learn) sakura tree in view, and a tatami room with a small table and couch. I took my shoes off at the genkan, dropped my luggage onto the wooden kitchen floor with a thud and fell to my knees. Then, I broke down in tears. Just where in god’s name am I? Just where the hell is Niigata? I’m sure you’re wondering the same thing. When I was informed that I would be going to Niigata, I was speechless—speechless because I didn’t know a damn thing about the place. 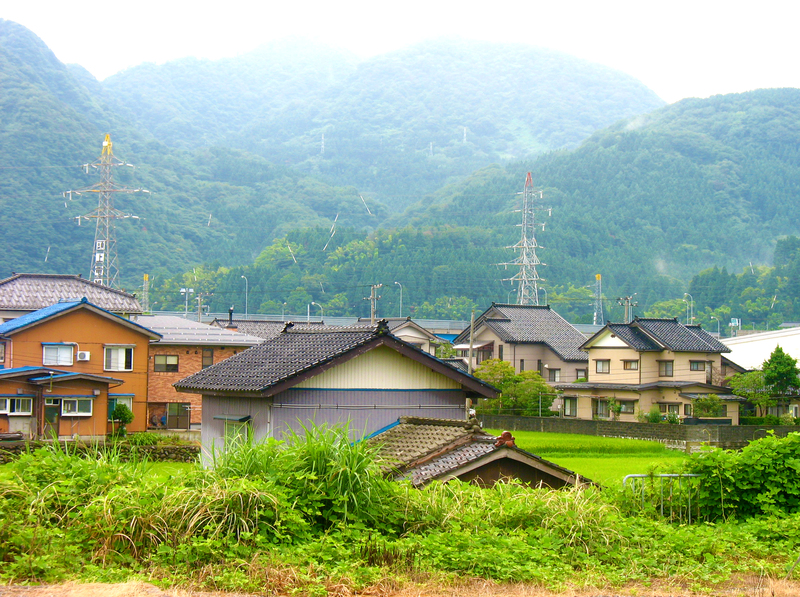 I was placed in a small village near a city called Itoigawa, which was inaccessible by bullet train and required near 3 hours on 3 different trains from Tokyo to reach. It was a tiny fishing village called Nou, and by god, it was remote. Niigata is so unknown and random that, when I tell Japanese people I lived there for two years, their first reaction is laughter. They kind of smile and wait for me to spill my real answer, but their expression slowly turns to horror when they realize that I’m being serious. Despite their reaction, I smile and tell them that I was luckily placed in the best prefecture in Japan. I’m sure all foreigners here in Japan say that, but really, I mean it—Niigata is the best, and even if I was given a choice to redo Japan all over again, I would still choose this special prefecture. The first thing I did when I arrived in my village of Nou was buy a bike. I couldn’t speak Japanese well, but somehow I was able to tell the man that I needed a bike for my daily activities in the village. This is where I learned the term ママチャリ (bike for moms), a simple bike with a basket attached to the handlebars to make shopping easy, yet strong enough to plow through the rice fields and country roads if necessary. I hopped on my bike with absolutely no aim, no direction. I wandered toward the mountains far beyond my home, into a never ending sea of green that stretched onto the horizon and rose to the heavens. 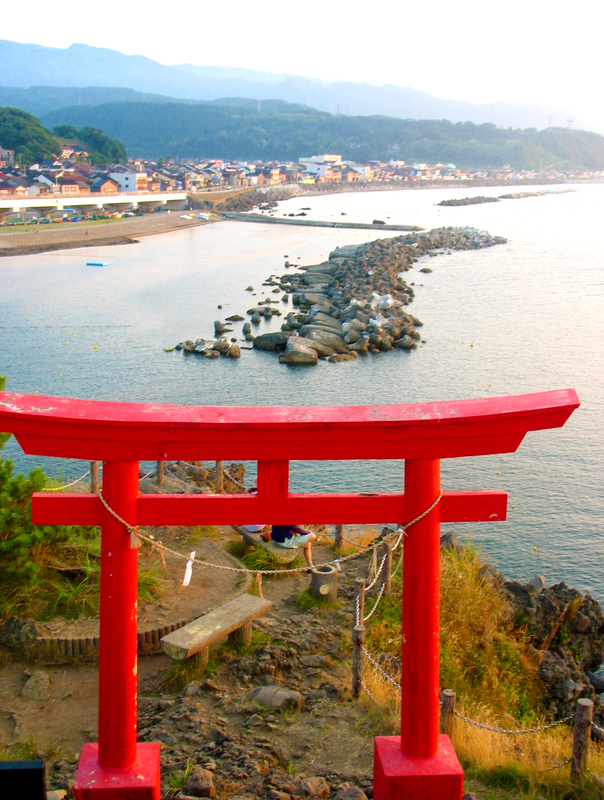 I wanted to discover my this little speck of Japan that I would call home for the next two years. And what I saw were rice fields. 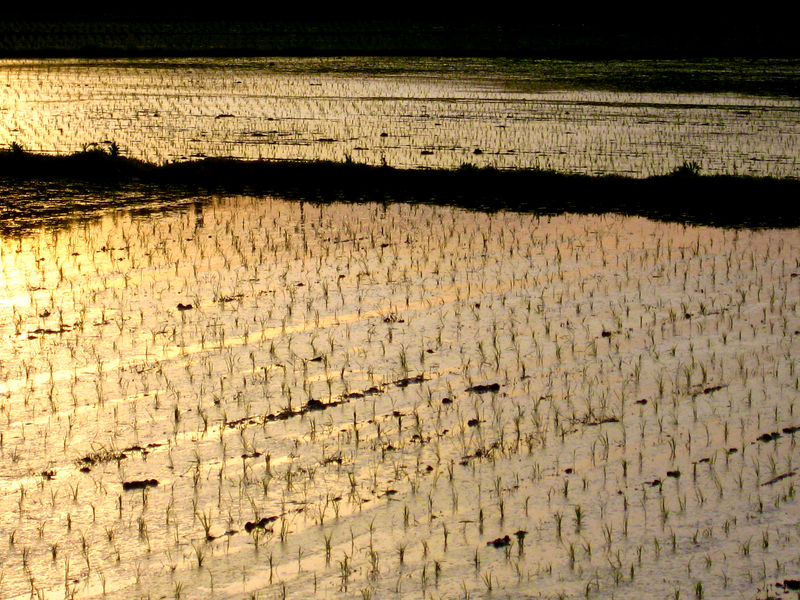 Miles and miles of rice fields that crept into the towering mountains in neat, tiny squares. I pedaled forward on the dirt road, sweat dripping down my face and my moist hands sliding around the handlebars. Every now and then a lone truck whizzed by, and dotted between the rice fields were a few scarecrows. Other than that, I was alone. It was just me, and the rice fields. The cicadas continued to hum in their ongoing chant. My shirt stuck to me in the heat of the summer, my skin wet with humidity. I don’t know how long I biked uphill. I wasn’t even quite sure where I was. I stopped, parked my bike and turned around. I was in some strange wonderland. This faraway place full of rice fields, red sunsets over the ocean and festivals in the summer felt foreign, yet strangely familiar through my Japanese textbooks I had studied just weeks earlier. I was in a beautiful world full of warm smiles and gentle hearts, of children playing in the field and strangers offering me vegetables and fruits on the roadside. 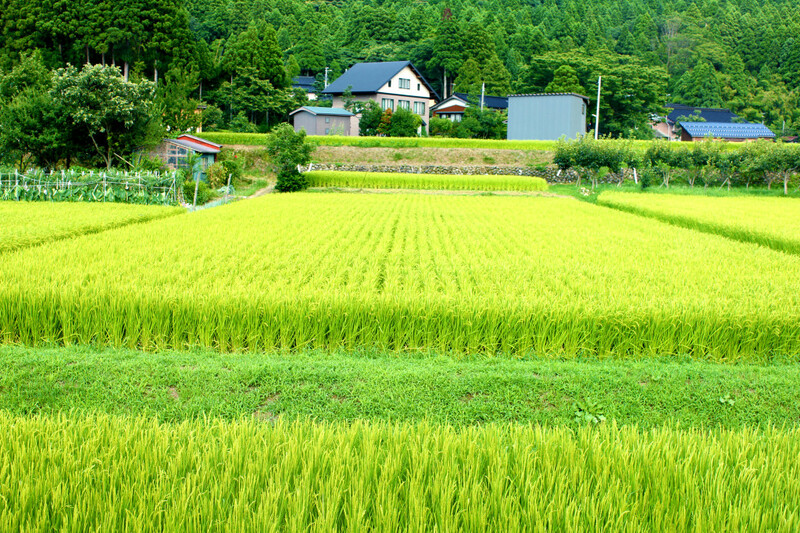 I was in a place full of this green plantation called rice–and it was absolutely breathtaking. 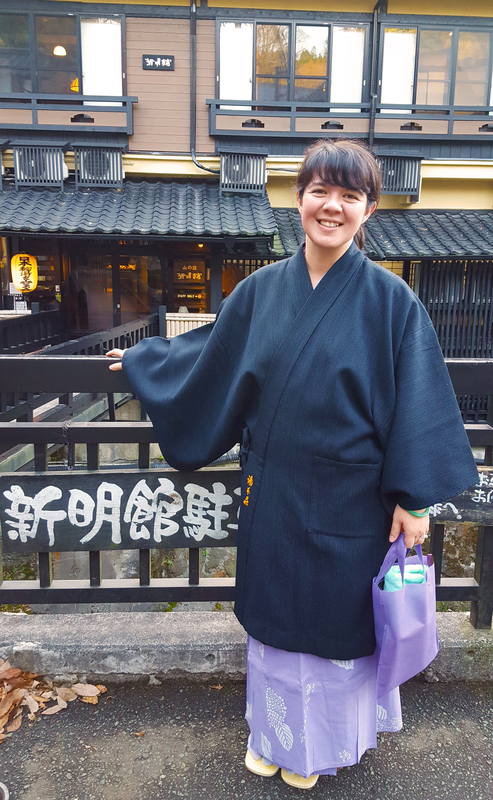 Even though it was 100% humidity, even though I sweat more in one hour than I did in my entire life in Utah, and even though the intense pressure from the heat of a Japanese summer rendered me near unconscious–I was in awe of Japan. I was truly humbled by the beauty of my new home.. a tiny village called Nou. 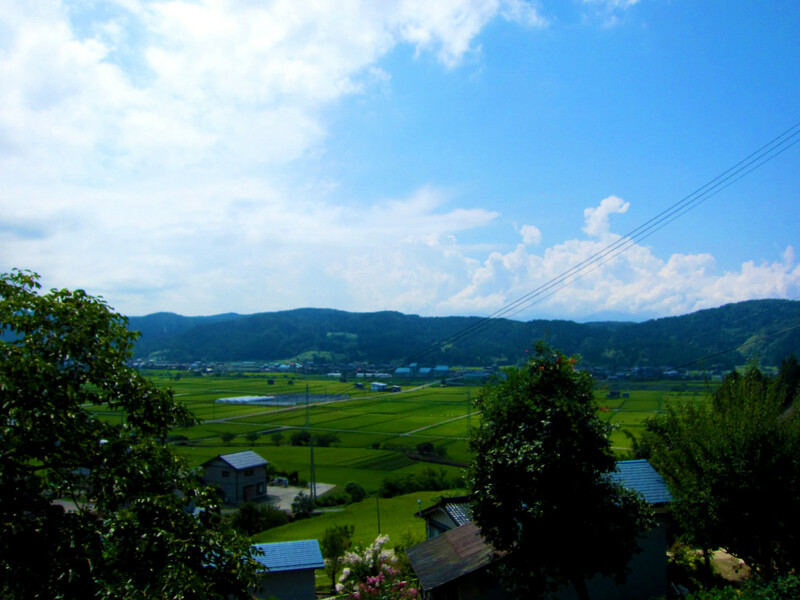 Exactly six years ago, I went to Niigata not knowing where it was. 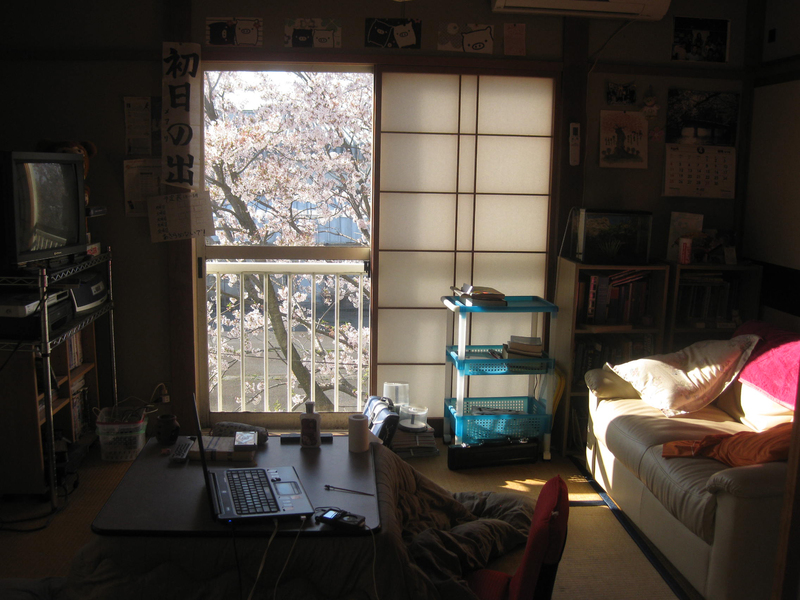 And I left Japan to find it had become my new home. Well, I have heard of Niigata before! I know a guy who was teaching English there for several years 😀 I don’t think I can find the place in a map though. Have you ever seen a cicada? (they are not easily seen, unless you find one dead on the ground). They are so ugly! (apart from noisy and annoying, of course). I have seen a cicada! It took me about a year or two until I finally saw their dead carcass on the ground. They are REALLY gross!! They look like aliens! It’s amazing how well they hide, though.. especially for being so loud! I guess you have a lot in your area of China too, right? Do you have more photos of the place and your apartment, i’m trying to make a comic and i think this is the best place to set the story!!! Hi, sure thing, I’ll try to find a way to get them to you. I’m also in touch with the current ALT living there and she has a great Instagram with the best pictures of the place. I tried to look for it but I couldn’t find her; I’ll let you know! Sorry I have been slow, super busy! Thanks for taking the time to help me 🙂 And you are right your friend’s photos are really good. Wow what incredible bravery you have to go to a place you’ve never heard of before with seemingly no people around and work as a teacher! Aw! Are you in Kyushu and he’s in Niigata? Haha. 8-9 hour shinkansen ride is pretty darn long! If you don’t mind me asking, where in Niigata was he placed?